Mustard's and the snow storm in our Nation's Capitol - Canning Homemade! I thought that I would send a note from our nation's Capitol. The flights were smooth and the turbulence was at a minimum. We arrived, my dad and I, to Washington DC to find out that this evening they are expecting five inches of snow. Not what I wanted to hear! I just left sunny and beautiful Santa Barbara for 37 degrees and nasty weather. Do you think if I click my heels together three times I could get out of here and back to Oz? Or someplace warmer? We will only be here a few days and I will try to make the best of it! On another note, over the last few days I have been thinking a lot about what I want to do for the month of February with regard to canning. I have been doing some research and finding that my pantry is missing some essential ingredients that I am still purchasing at the store. Those are condiments. The ketchup, mustard, marinades, sauces, and dips that fill the inner doors of my refrigerator that always seem to sit there because it was a brand on sale and it wasn't very good. So I have decided that it is time for me to donate those bottles to others and create my own pantry of condiments with flavors I create and can put up for later. My first recipe venture was in pursuit of mustard. I have had some experience with this condiment in the past as I have made the Beer mustard and it's posted on my recipe list. It was a whole grain mustard and had a bit of kick but I want some different flavors to offer. Below are five new recipes that I found over various sites and books that I will be working on in February. I will post the pictures and outcomes later. But here are the recipes. Place mustard seeds, garlic and ginger in a bowl or jar and cover with the vinegar. Let stand for 24 hours at room temperature. Place vinegar mixture in blender, add cayenne, salt, turmeric and sugar and blend until a creamy consistency is reached. You can add a bit more vinegar if it is too dry. Once you have blended it ladle into jars leaving 1/2" headspace and water bath for 15 minutes. Wait 3 days before using your first jar. In a nonreactive container, combine mustard seeds with alcohol (beer, wine, or sherry; according to recipe) and vinegar. Let sit 48 hours. Check periodically to make sure seeds are covered by liquid; add more if necessary. Transfer seeds and liquid to a food processor. Add remaining ingredients. Process until seeds become creamy, 4 to 6 minutes. Ladle into hot jars and leave 1/2" headspace water bath for 15 minutes. Wait 5 days before using. Soak the mustard seeds in the beer overnight. About 20 minutes before you are ready to make the mustard, stir the mustard flour, minced onion and thyme into the soaked seed mixture and allow to sit. Place the mustard mixture to a blender along with the vinegar and salt. Grind until it is the consistency of a paste, with some seeds remaining visible. This may take a minute or two. Ladle into hot glass jars and leave 1/2" headspace and process in water bath for 15 minutes. Wait 4-5 days before using. In a small bowl, combine mustard seed and dry mustard. In a 1- to 2-quart stainless steel or nonreactive saucepan, combine remaining ingredients. Simmer, uncovered, on medium heat until reduced by half, 10-15 minutes. Pour the mixture into the mustard mixture. Let mixture stand, covered, at room temperature for 24 hours, adding additional vinegar if necessary in order to maintain enough liquid to cover seeds. Process the seeds and mixture in a blender or food processor until pureed to the texture you like --this can take at least 3 or 4 minutes. Some prefer whole seeds remaining, others a smooth paste. The mixture will continue to thicken. If it gets too thick after a few days, stir in additional vinegar. Scrape mustard into clean, dry jars; cover tightly and age at least 3 days in the refrigerator before using. To water bath, ladle jars, leave 1/2" headspace and process 15 minutes. 1.) FINELY CHOP enough sage leaves to measure 1/3 cup and set aside. 2.) COARSELY CHOP remaining sage leaves and stems to measure 1/2 cup and place in a small stainless steel saucepan with white wine. Bring to a boil over medium heat, stirring and pressing sage to release flavor. Remove from heat. Cover tightly and let steep for 5 minutes. 3.) TRANSFER sage infusion to a sieve placed over a glass or stainless steel bowl and press leaves with the back of a spoon to extract all the liquid. Discard solids and return liquid to saucepan. Add mustard seeds. Cover and let stand at room temperature until seeds have absorbed most of the moisture, about 2 hours. 4.) PREPARE boiling water canner. Heat jars and lids in simmering water until ready for use. Do not boil. Set bands aside. 5.) COMBINE marinated mustard seeds (with liquid) and vinegar in a blender or food processor fitted with a metal blade. Process until blended and most seeds are well chopped, but retaining a slightly grainy texture. 6.) TRANSFER mixture to a stainless steel saucepan and add lemon zest, lemon juice, honey, salt and reserved finely chopped sage. Bring to a boil over high heat, stirring constantly. Reduce heat to low and boil gently, stirring frequently, until volume is reduced by a third, about 20 minutes. 7.) LADLE hot mustard into hot jars leaving 1/2 inch headspace. Remove air bubbles. Wipe rim. Center lid on jar. Apply band until fit is fingertip tight. 8.) 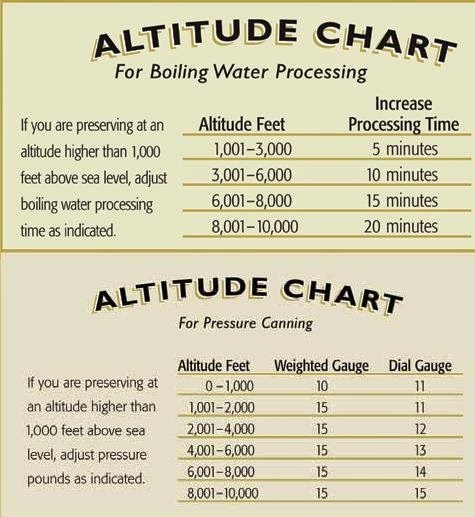 PROCESS jars in a boiling water canner for 10 minutes, adjusting for altitude. Remove jars and cool. Check lids for seal after 24 hours. Lid should not flex up and down when center is pressed.